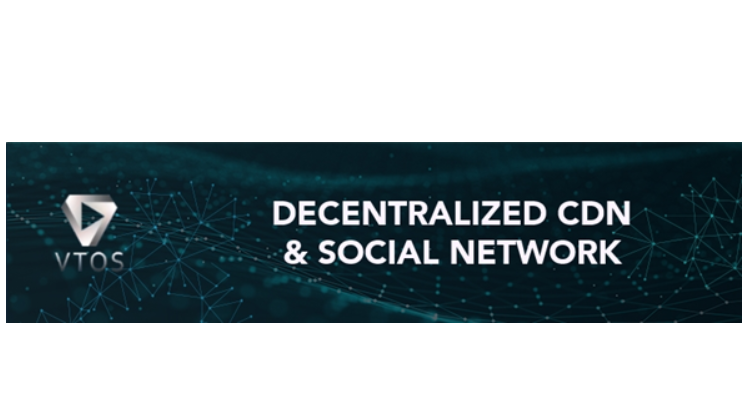 VTOS, a decentralized content sharing and social network, is proud to announce that its token sale will begin on May 28th, 2018. VTOS has been built with an infrastructure which embraces the full application of blockchain technology. One of the key infrastructures for the VTOS platform is decentralization. MONTERREY, Mexico, April 23, 2018	(Newswire.com) - It is estimated that about 2.5 billion people around the world participate in some form of social networking. The internet came with the promise of ensuring people could be seamlessly connected through the sharing of information, knowledge, and interests. The major social media tech giants such as Facebook, Twitter, YouTube, Instagram, Reddit, and Quora have dominated the social media landscape for the last decade; they have billions of users generating high volumes of content and connecting people globally. As a result, of this explosive growth, market valuations of major social media corporations have soared; mostly due to the ability to tap into and commercialize user-generated content. Check out the VTOS video here. VTOS is the source of this content. Virtual currency is not legal tender, is not backed by the government, and accounts and value balances are not subject to consumer protections. This press release is for informational purposes only. The information does not constitute investment advice or an offer to invest. Vancouver-based Crypto Retailer Bittreo Announces Global Expansion by launching its Brokerage SaaS Product. The software will make the brokerage the first to develop SaaS for retail cryptocurrency locations.